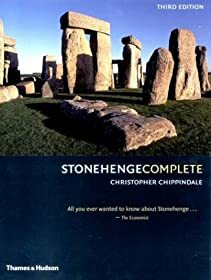 Stonehenge has a series of features, contained within a circular earthwork enclosure, which have been added to the monument or modified in layout over a period of about twelve hundred years (c.2450 BC to c.1250 BC) The outermost and earliest element is a circular bank c.6m wide and a maximum of 0.6m high, surrounded by a ditch c.7m wide and a maximum of 2m deep. There are slight traces of an outer bank c.2m wide surrounding the ditch on the northern and eastern sides, giving an overall diameter of 115m. The ditch possesses two original entrance gaps or causeways, one at the south of the enclosure 4.5m wide and the other in the north east sector 10m wide forming the entrance from the Avenue. There are corresponding gaps in the bank at these points. Excavations in the area of the north east entrance have revealed a series of postholes between the ditch terminals and two pits which once held stone uprights in the gap in the bank. These uprights will have formed a formal entrance to the original monument prior to the construction of the Avenue; the Slaughter Stone, a horizontal sarsen stone 6.4m long and 2.1m wide located on the southern side of the entrance gap, has been interpreted as a survivor of the pair of uprights. Immediately within the inner margin of the bank are a series of 56 roughly circular pits arranged at intervals of c.5m in a circle 88m in diameter. The pits are known as `Aubrey Holes', after the 17th century antiquary who discovered them. Thirty four have been excavated and are marked on the ground by patches of concrete; the others are difficult to identify but their location has been established by probing. Excavation of these pits revealed that 25 of the 34 contained cremations, some accompanied by long bone pins and flint fabricators. A further 26 cremations have been found within the bank and within and under the ditch silt. This Neolithic cremation cemetery is located mainly in the eastern Aubrey Holes and corresponding section of ditch and outer bank. Set among these outermost features is a series of two sarsen stones and two earthworks which are believed to represent significant locations in the ceremonial function of the original monument. The two sarsens known as `Station Stones', are located on the line of the Aubrey Holes within the north west and south east sectors of the monument. The south east stone, some 2.7m in length, lies against the inner face of the bank, but according to an 18th century record was at that date much less inclined. The north west stone is upright but shorter, some 1.2m high. Stonehenge and the Avenue constitute a ceremonial monument of great fame and rarity. 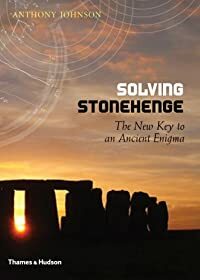 Stonehenge itself has been shown by partial excavation and detailed recording to contain unique evidence of ceremonial activity and architectural prowess unparalleled on contemporary monuments in the rest of England. Archaeological excavation has played a significant role in unravelling the complex history of the monument, and recent geophysical survey has indicated that the Avenue contains buried remains which will contribute towards a fuller understanding of the monument. The alignment of various features of the complex, allegedly relating to astronomical observations, continues to provoke a lively debate on the role of the monument and the nature of the ceremonies with which it was associated. In spite of levelling by cultivation the three bowl barrows on Countess Farm will contain archaeological remains and environmental evidence relating to the monument and the landscape in which it was constructed. Since the cemetery of which they form a part is bisected by the Avenue, the date of the latter may be clarified by evidence contained within the barrow mounds and ditches.